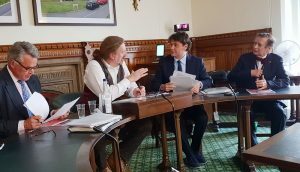 Meeting of the All-Party Parliamentary Group on Tibet on 12 July 2017. Following the UK general election, Tibet Society lobbied Members of Parliament (MPs) to join the All-Party Parliamentary Group on Tibet. We pleased to announce that we were able to re-register the group and secure cross-party support, including from the Conservatives, Labour, the Scottish National Party and the Liberal Democrats. 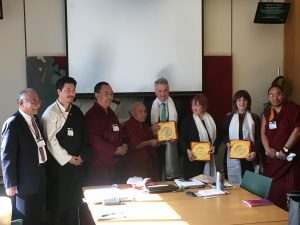 This group is a crucial forum for building parliamentary awareness and coordination on Tibet and for ensuring that Tibetan voices continue to be represented in Westminster. Yesterday, the House of Commons returned after its summer recess and we need your help in pressuring other recently elected MPs to take up the Tibetan cause and build a strong following in this new Parliament. We need you to get in touch with your local MP, and inform them of the situation in Tibet. It is best to try and organise a face-to-face meeting with your MP, but you can also explain your concerns over email. Below we set out some areas you can raise with your MP, and provide you with a template letter for contacting them. – Join the All-Party Parliamentary Group on Tibet, which meets a few times a year to discuss developments in Tibet, or to attend the APPG’s meetings without being a member. The group will be meeting again in November following the Parliamentary recess. 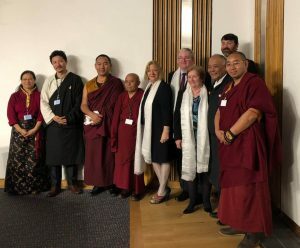 – Raise the issue of Tibet with the UK government, particularly concerning the continued occupation of the country, the demolition of Larung Gar, Tibetan political prisoners and the exploitation of Tibet’s environment by China. – Sign our petition calling on Liverpool FC to terminate it’s recent deal with Chinese Company Tibet Water Resources Limited, which is profiting from the occupation of Tibet. – Demolitions at Larung Gar Buddhist Institute in eastern Tibet by the Chinese authorities, the largest and one of the most significant sites in Tibetan Buddhism. – The release of Tibetan political prisoners, including Tibetan shopkeeper, Tashi Wangchuk and Tibetan writer Druklo. – Continued reports that Tibetans are arrested for carrying and sharing pictures of His Holiness the Dalai Lama. – Tibet’s Rivers: ensuring Tibet’s environment is protected from exploitation by Chinese companies. You can find a template email to send to your local representative here at the bottom of this email. Please make sure you edit the highlighted sections to suit your own individual case, and feel free to change the text as you see fit. You can find out how to contact your local MP here. If you want more resources or general assistance in lobbying your MP, please don’t hesitate to get in touch with us at advocacy@tibetsociety.com. Template letter to lobby your MP. As your local constituent, I am writing to you to express my deep concern about the situation in Tibet and the human rights violations that are being carried out under the Chinese occupation there. Since 1950, China has occupied Tibet. 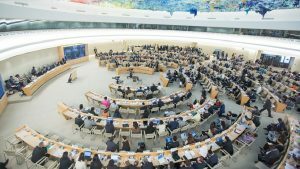 The Foreign Commonwealth Office has reported on a multitude of human rights violations being perpetrated by the Chinese authorities against the people of Tibet. Tibetans are routinely subjected to human rights violations, including torture, arbitrary detentions, collective punishment, restrictions on freedom of religion, movement, association and assembly as well as curbs on their cultural rights. As my elected representative in the Houses of Parliament, I would like you ask that you raise concerns over the occupation of Tibet with ministers, particularly from the Foreign and Commonwealth Office. I would also like to draw your attention to the All-Party Parliamentary Group (APPG) on Tibet, which has been working to raise awareness and coordinate parliamentary action on Tibet since 1986. The APPG was re-formed on 12 July 2017 following the recent parliamentary election and needs new MPs to join up. I would like to urge you to join the APPG and/or attend their meetings, including the next one which is scheduled to take place in November 2017. I would also like to encourage you to sign a petition launched by the Tibet Society, the UK’s oldest Tibetan support group, which calls on Liverpool FC to terminate its recent partnership with a Chinese company, Tibet Water Resources Limited, and for you to encourage Liverpool MPs to reach out to the club expressing their concern over this deal. The UK cannot turn a blind eye to the clear and well documented violations that continue to be carried out by China. The Government needs to fulfil its obligations by sending a clear message that this is unacceptable, by calling for the end to the occupation of Tibet.